From the sands of Iraq to the mountains of the Hindu Kush, North relays insider stories and full-color photographs that depict soul-stirring missions, hidden victories, and desperate fights against impossible odds. Yet for these faithful, inspiring patriots, it's "all in a day's work." Chuck Holton spent four years with the 75th Ranger Regiment, flew military helicopters and now travels the world as the "adventure Correspondent" for CBN. 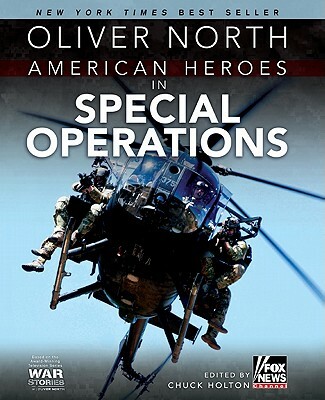 He is the author of five books, including the Task Force Valor Series, A More Elite Soldier, and Bulletproof: The Making of an Invincible Mind. He splits his time between his home in Panama and his farm in Appalachia, where he enjoys raising animals with his wife and five children.